A hard hit to the chest can cause an irregular heartbeat which may lead to death even days after the impact, according to an upcoming article in the journal Pediatrics, based on a case involving a 16 year-old Hawai`i football player. The case, and its diagnosis by a physician at Kapi`olani Medical Center for Women and Children (Hawai’i Pacific Health), likely will change the way doctors diagnose the potentially fatal complication, and suggests chest protection equipment should be considered in sports. 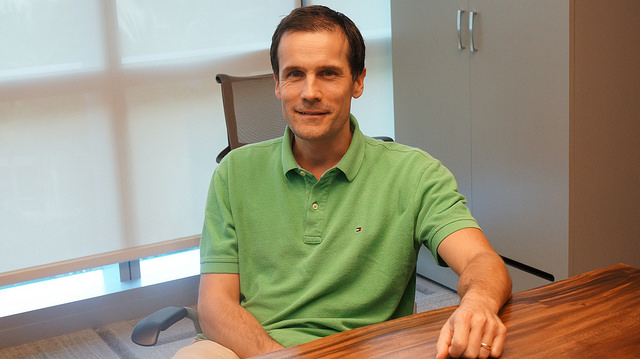 Pediatric Cardiologist Andras Bratincsak, MD, PhD, a graduate of the John A. Burns School of Medicine (JABSOM) Residency Program, is the first physician to discover that blunt trauma to the chest can cause an arrhythmia in the atrial, or upper chamber, of the heart. While doctors knew such trauma could cause arrhythmia in the ventricle, or lower heart chamber, and even sudden death; they had not realized before the potentially lethal affect on the upper or atrial chamber of the heart. In the Hawai`i case that led to the new discovery, the football player felt some chest pain, complained of being “light-headed” and his heart rate was elevated. He left football practice and arrived about 25 minutes later at the emergency room of the Kapi`olani Medical Center for Women and Children, a teaching hospital partner with the UH medical school. 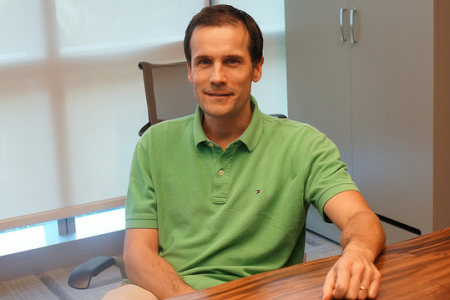 An EKG (electrocardiogram, a record or display of a person’s heartbeat) was performed and evaluated by Dr. Bratincsak, who noted an irregular heartbeat of an average 70 to 80 beats per minute. “The secondary complications, such as stroke, can be prevented if it’s diagnosed quickly,” said Dr. Bratincsak, and in the teenager’s case, it was. He was kept at the hospital for observation, and three days later, tests confirmed the arrhythmia resolved itself. One year later, a follow up visit confirmed normal heart rhythm. “This definitely should be recognized this is a possible danger in contact sports,” advises Dr. Bratincsak. 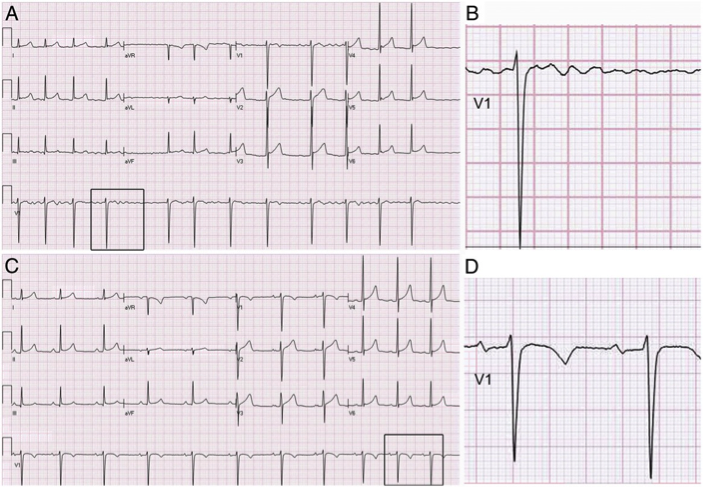 ECG of a 16-year-old boy with AF induced by commotio cordis secondary to a blunt chest trauma. 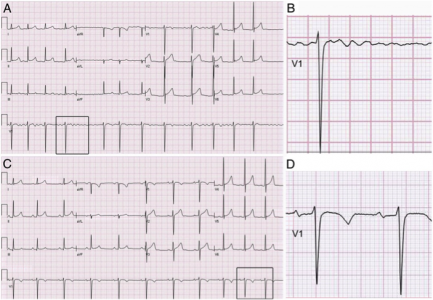 A, ECG reveals AF with irregular ventricular rhythm; B, enlarged insert from lead V1; C, follow-up ECG 3 days after presentation showing spontaneous resolution to normal sinus rhythm; D, enlarged insert from lead V1. What action is recommended for athletes, parents, coaches and medical professionals? Dr. Bratincsak wrote the article with co-author Kyle Ota, a fourth-year JABSOM medical student who will receive his MD degree next May (2015). Their article, “Atrial Fibrillation Induced by Commotio Cordis Secondary to a Blunt Chest Trauma in a Teenage Boy,” will be published in the January 1, 2015 issue of Pediatrics, the premiere journal of the American Academy of Pediatrics.